The Best Age for Sleep Away Camp? Find out from an expert! What’s the Best Age for Sleep Away Camp? When to start sending your child to sleep-away camp is a decision that depends on your parenting style and your child’s temperament. Some kids have fun and successful camp experiences start as young as six years old! That’s the youngest some sleep-away camps accept campers, and most resident camps start enrolling campers at age seven or eight. When thinking about sending younger kids to overnight camp, parents often worry, “Will someone make sure he eats? Puts on sunscreen? What if he wets the bed?” At well-run, accredited camp programs, counselors are trained to take care of young children’s physical and emotional needs, including handling sensitive events like bed wetting, homesickness, and hurt feelings. For some parents, the thought of their child EVER going to sleep-away camp (without them) is unimaginable. Sometimes, “he’s not ready for camp” actually means you’re not ready. Realizing that your child can be okay without you is sometimes hard on parents, and it’s a big step to let your kids have the independent experience of an overnight summer program. The hard choice (the one Michael Thompson, PhD. would say is the better one): Tell your child, “I know you’re ready for this experience and I don’t want you to miss out. I know you’re nervous, but this is something that is important for you to do.” Read Thompson’s book Homesick and Happy before you broach the subject with your child. Sign up for a camp that is a good fit for your child and offers activities he is interested in! If your child is eleven years old or older and hasn’t been to sleep-away camp, let them go. They will grow important skills and character traits – like self-reliance and problem-solving – that are much harder to build with Mom or Dad standing nearby. Kids who are hesitant about camp before their teen years are likely to still be hesitant during them, and possibly hesitant at eighteen when it’s time to head off to college. Kids need to figure out how to navigate separating from parents, and a week or two at camp is a great way to start! Now that you know how great it is to get your child some independent experience early, forge ahead confidently (or at least pretend you’re confident! ), and keep this in mind: It’s time to let your child have some fun, independent experiences away from you! 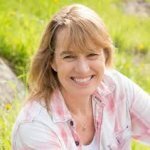 Audrey Monke is the owner and director of Gold Arrow Camp in Lakeshore, California, and is among the nation’s most well-respected experts on the topics of summer camp and positive parenting. For more than three decades, Audrey has researched and improved practices at her camp to promote belonging, friendships, and character growth. Her parenting website and podcast have a loyal following of like-minded parents wanting to raise kids who become thriving adults. She is the mother of five kids (ages fifteen to twenty-five) and lives with her husband, Steve, and two teenage sons in Clovis, California. In Happy Campers: 9 Summer Camp Secrets for Raising Kids Who Become Thriving Adults, Audrey Monke shares what she’s learned from three decades of creating a summer camp that kids call their “happy place” and “second home,” a culture where research has proven kids become happier while gaining important social and emotional skills in just two weeks. Complete with specific ideas to implement these summer camp secrets a​​​​t home, Happy Campers is a one-of-a-kind resource for parents wanting to raise happy, socially intelligent, successful kids. More info at happycampersbook.com. NOTE: All photos are courtesy of Gold Arrow Camp! What about you? Do you have any summer camp stories to share?